OldeMoonlane is on Vacation now till the second week in April. I will return any messages when I return. Thank You sooo much for supporting my small business! 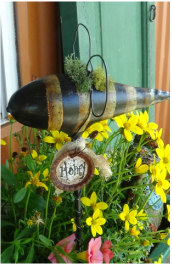 Enjoy the free tutorial to create your very own "Noodles"
Free Tutorial on how to make a gourd bee flower poke. Have fun and "Bee Creative". Welcome to OldeMoonlane Primitives! Our business started over 33 years ago. 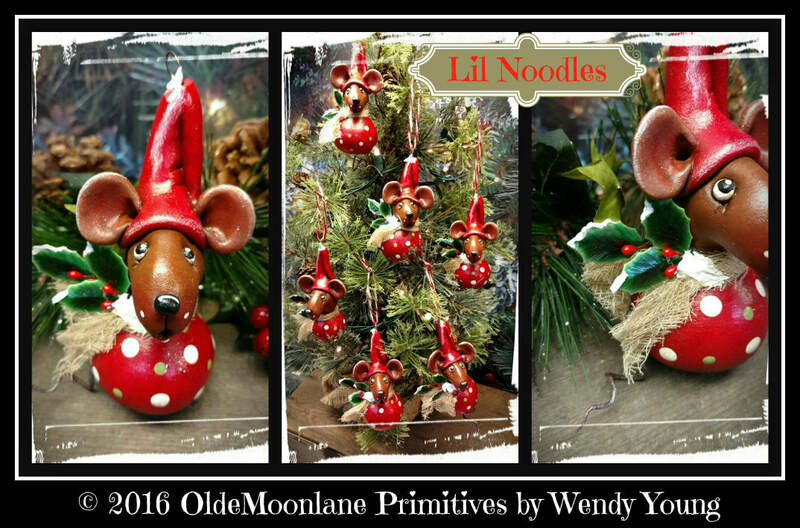 OldeMoonlane Primitives is owned and operated by artist Wendy Young of Orrstown, PA. Please feel free to browse the site. In addition to the products displayed here we also offer classes in painting and sculpting. I am currently not taking special orders. All copyright rules apply to our patterns, as well as any work and photos on this site. No photos may be downloaded and used without written permission of Wendy Young.